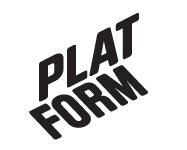 September 2008 – Platform r.f. In autumn 2008 Murnaghan travelled through Finland and some of its neighbouring countries on an utopian endeavour, to compose a universal hymn. He set up meetings using arts groups, databases, media and word-of-mouth and asked the question: ’If you had the opportunity to compose the opening line of a universal hymn, what would it be and how would you sing it’? The concept of a universal hymn is a flawed one, but at the same time it functions as a device or catalyst to begin a dialogue in each new situation. The installation at Platform uses several disciplines as is typical of Murnaghan’s practice. The scale and form of the wooden sculpture evokes some past monumental ideology while the three separated video works construct a triptych of intermittent dialogue. This work continues to explore fragmentary points of intersection between the spiritual, scientific and the psychological. Paul Murnaghan is a Dublin-based artist, curator and intermittent composer. His practice emanates from a fascination with the psychology of individual and collective memory, the artifice of reminiscence and conditions that contribute to specific belief structures. This process has led him to advertise his memory capacity for sale (Memorious, 2006) or to publish a contract detailing the commission of an artwork that no one would ever see (Auto Da Fe, 2007). Murnaghan’s projects rarely happen without other people and the generosity of exchange. When viewed as a whole his work can be seen as an attempt to access a universal, subliminal dialogue. Neocredo is supported by Platform and The Irish Arts Council with assistance from FRAME in Helsinki and The Estonian Acedemy of Arts in Tallin. The selection of works presented by Platform at Alt_Cph represent past, present and future visiting artists. The selected artists have in common that their artistic practice can be looked at through the conception of territory. Some works investigate different mechanisms, mapping or visual code that sustain territory, others try to expand territorial borders or even mark and occupy territory. The ascription of value to a geographical place, that hosts the identification, forms the economical, political and historical base for recognizing territories. And this identification is in itself the actual foundation, platform or mental ground on which territory is claimed. The historical justification or explanation for current relations of possessing, distributing and producing is therefore a self-sustaining, closed circuit… not only in art. Territory must be re-thought as a fictional abstract conception, to open up a new critical view on ever acute political disproportion and create a new substitutional mental ground for identification and value production. During Alt_Cph Emma Houlihan presented ‘Leg Up’, a new participative performance, whereby she facilitated urban exploration for Copenhagen citizens by offering her services in assisting people over the city’s walls. Leg Up questions our conception of built space and also seeks to investigate how boundaries define us and attempts to map new ways of traversing them. The first Leg Up was done at the Museum of the Harbour Laboratory (a project by Parfyme as part of U-turn). Barry Sykes did two works on-site at Alt_Cph 2008: the wall drawing ‘Top Secret UK Airbase From Memory’ and the performance piece ‘Someone Else’s Small Hand Dance’ on stage. The wall drawing was an attempt to remember the map of a secret airbase he worked at some years previously. The performance was a re-enactment of the Small Hand Dance (Ceryth Wynn Evans’ original performance, performed at Serpentine Gallery almost a year earlier). Wolf von Kries works with site-specific interventions that question the functioning of the social, economical or cultural structures which determine the perceptions of our daily routines. For his projects he often merges seemingly incompatible frames to suggest an alternative reading of ordinary objects or occurences which go far beyond their conventionally assigned meaning. In the series Puddles and Islands, he juxtaposes C.I.A. maps of Pacific islands with photographs of puddles which are nearly identical in shape. The result is a curious merge of references: while the origin of the maps suggests a political dimension raising questions of power, territory and manipulation, the corresponding photographs pick up on these elements to enter into a fuzzy, often inverted, dialectic between symbol and object, water and land, micro- and macrocosm or simply the ephemeral and the permanent. Kalle Brolin showed ‘Roof Girls’, made during a NIFCA residency in Tallinn. It’s a film about teenage girls who climb the rooftops of Tallinn, where nobody dares to follow them. The film is split into three parts, which are also three ways of presenting the story – the girls’ own films of scary stunts and favorite roofs; an animation while Brolin lost track of them for a few weeks; and an interview he made with them when they met up again, talking about family, friends and inaccessibility, things which might drive them to climb the roofs. In addition we also streamed the performance festival mope08 live that was going on in Vaasa during Friday 19th and Saturday 20th.